Welcome to the Warren County Emergency Management Office. 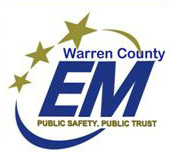 Bowling Green / Warren County Emergency Management (formerly DES) is attached to Warren County Government and operates at the direction of Warren County Judge Executive. 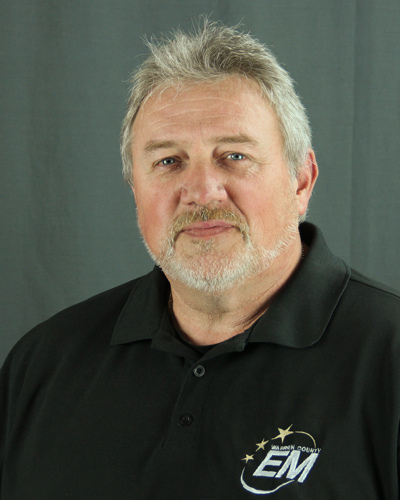 The Emergency Management director oversees the day to day operation of the local program. The local program also operates under the direction of the Area, State and Federal Offices of Emergency Management. Laws that govern this program are under KRS 39. Are you and your family prepared for an emergency? Check out our Preparedness Guide today to ensure you're ready in the case of emergency. Under the provisions of KRS Chapter 39, each county in the State of Kentucky shall create, support and maintain a local emergency management agency, which shall serve the public safety interest of the local government within the territorial boundaries of the county where the agency is created. The local Emergency Management Agency shall be an organizational unit of the executive branch of the county government and shall have primary jurisdiction, responsibility and authority for all matters pertaining to the local comprehensive emergency management program and under the general supervision of the local emergency management director, shall serve as a direct function of the office of County Judge-Executive or Mayor. The local Emergency Management Director shall be routinely available to respond to emergency scenes, command post, or emergency operations centers to coordinate emergency response of all local, public and private agencies and organizations; to perform necessary administrative, planning and organizational duties. The local Emergency Management Agency shall have the responsibility to coordinate relief and recovery programs with Federal and State agencies in the event of disasters and large emergencies. The local Emergency Management Agency works with volunteers from several different sectors and environments to develop plans and programs to reduce the loss of life and property to the community served. Examples of this program are the C.O.W.S. Community (Outdoor Warning System), Mt. Lebanon bridge project, early storm warning with Doppler radar, and an existing project of indoor warning to schools, nursing homes, day cares and government offices and buildings. The local Emergency Management Agency provides a wide variety of training to Emergency Services responders, general public and schools dealing with a wide spectrum of topics. The local emergency management agency and the Local Emergency Planning Committee shall have the responsibility to develop and maintain a local plan that deals with the problems associated with hazardous chemicals produced, used or stored in facilities in Warren County. This plan shall set forth the policies, procedures and guidelines for the coordination and control of all response to these emergencies dealing with hazardous chemicals. The local emergency management agency works with all volunteer agencies to provide an adequate response to those emergencies that may need the utilization of special services or skills or equipment. Examples are dive rescue or recovery, missing and lost persons, cave rescue and any other special circumstances. The local emergency management director or the local Search and Rescue coordinator shall have the responsibility to develop and maintain a local search and rescue plan . This plan shall set forth the policies, procedures and guidelines for the coordination and control of all search response in the county. The local emergency management agency reviews the pro and cons of other disasters and emergencies to determine if there are feasible steps to protect the citizens from future harm and suffering by development of new programs and plans.